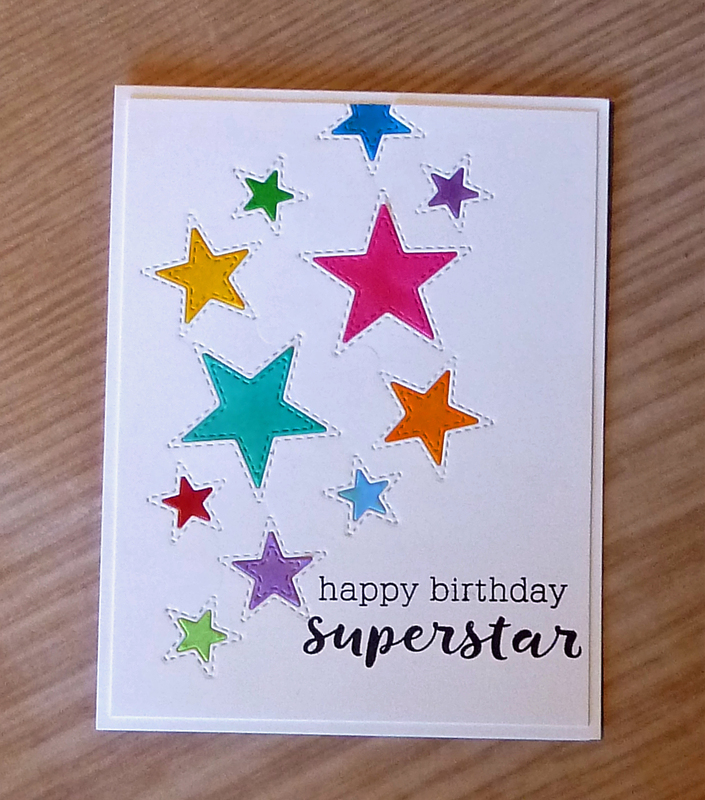 Popping in quickly with a rainbow star birthday card. I am entering this card at Poppystamps #48: Anything Goes and Seize the Birthday, where the toppings is Rainbow. 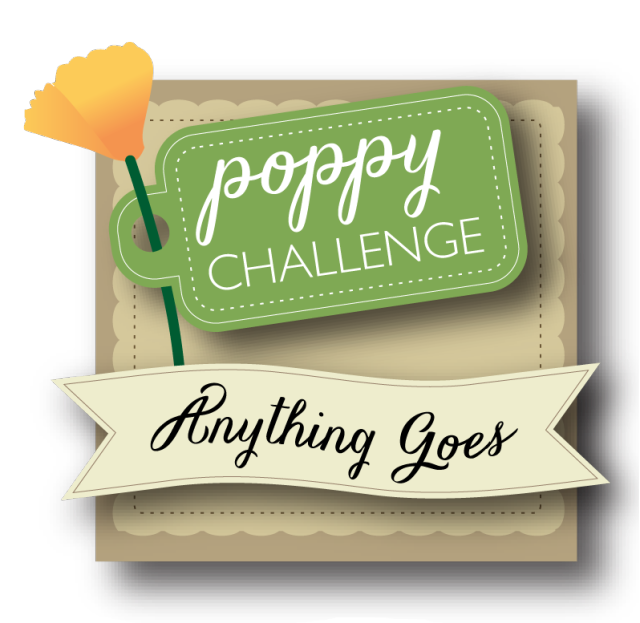 I used Poppystamps Stitched Star Cutouts. I like the colorful inlaid stars, this is cute Joyce! 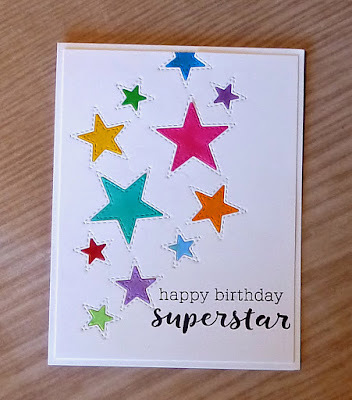 I love these stitched stars, they really make the card pop! And of course you used the perfect sentiment for them. 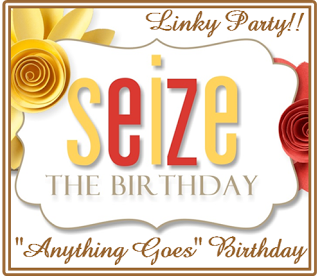 :) Thanks for linking up to Seize the Birthday! Wonderful card design, beautiful clean colours. 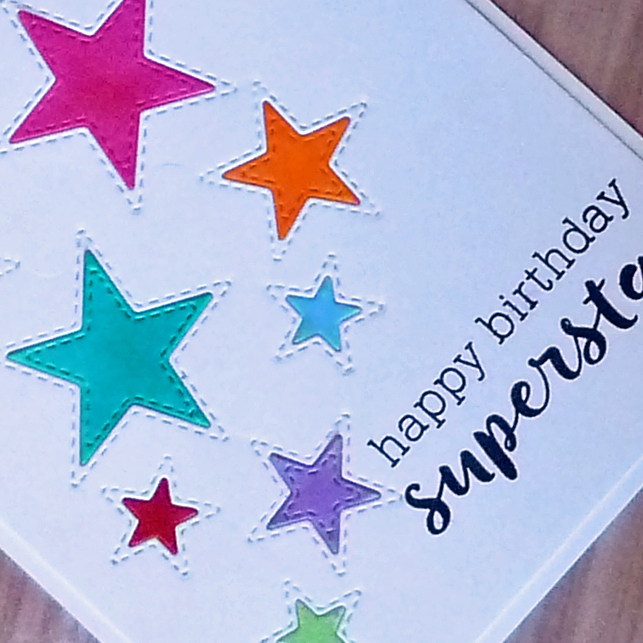 I love the rainbow of color in those crisp cut stitched stars Joyce! 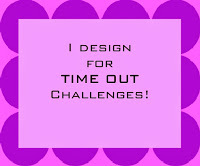 Joyce I have been trying for day to comment something wrong with my setting! 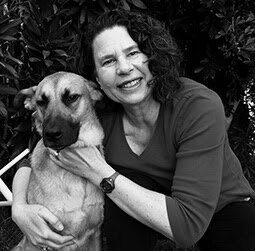 I love your brightly colored stars! 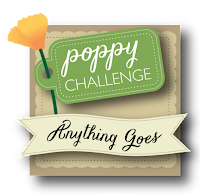 Thanks for joining us at the Poppy stamps blog.